No, I'm not talking about Lucy in the wine vats. As an author, Vine could help glean far-reaching exposure for your latest book. "What is Vine? Vine is a mobile service that lets you create and share short looping videos. 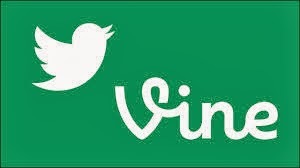 Videos you post to Vine will appear on your Vine profile and the timelines of your Vine followers. Posts can also be shared to Twitter or Facebook." Teens and 20-something's pushed it from its start in February to 13 million followers in June and it is still growing. Think of it as the Twitter version of You Tube. It's only six seconds long. So yes, you can do a video to promote your latest book via your smart phone. Then once you get a Vine under your belt you can do a longer book trailer video to continue your book promotion on You Tube. 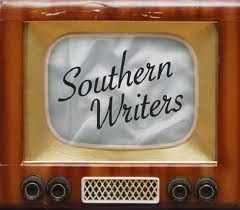 As a subscriber to Southern Writers Magazine, You Tube videos can be uploaded to our free promotional product, Must Read TV. How can you use Twitter's Vine as a valuable writing tool? 2. Plan your video because, talk about tight writing, six seconds is not a long period of time. The point of Vine is a video of action. If the shot should be a photo don't bore your reader/viewers. Focus on an image and let it move through the camera frame. 3. Avoid shaky shots and consider investing in a tripod to give a more professional quality to your Vine video. 4. Make a unique profile on Vine. Initially, Vine, will use your Twitter profile but you can change your Vine profile to make it specific to your target audience. Your profile needs concise words that Vine users can type into the site to find you. Would you click on the profile you created? If not, regroup and redo. 5. Your profile picture should capture attention. This photo will appear at the top of your Vine page and in search results. People are more likely to click on it if it catches their eye. Your book cover is fine, as long as it’s colorful and bold, but will it intrigue people to click on it? 6. Hashtags, yes hashtags, use them. Hashtags draw new visitors to Vine and ultimately you and your book. Use hashtags that will draw readers to your Vine. Choose hashtags readers would use rather than terms that advertise your book. 7. Provide something for those who find you. In promoting your book, it’s important to provide something of value to Vine users, for free. Direct them to your website for free writers' tools or a free preview chapter or novella they can read. It will make you stand apart. 8. Watch what works for other authors. As you first log into Vine the editor's picks will appear. Watch the highlighted Vine members and pay attention to what appears to be working for them. Then create your own successful Vine. Once you experiment with Vine you can expand to the Southern Writers Magazine's, Must Read TV. Stomp those vine grapes, like Lucy, turn your book Vine into a book trailer making it a sweet success for you and your book.